Translate English To French Phrases: Should You Use Google Translate Or A Translation Service? Translate English to French phrases might be something that you think is easy to do through a website or tool such as Google Translate. However, this does have its limitations, and using a professional translation service for your needs is often a much better course of action. Why is this? The Google Translate tool is handy, there is no doubt about it. But it simply translates the words literally. Although this is useful for giving an overall view of the document you are translating, it will fail to give it any meaning. A language translator however, can do that, and make the entire document sensible and readable. With an app or tool online, the vocabulary is often limited, giving just one meaning to a word. The technology is unable to grasp the context, and therefore it can often give the entirely wrong meaning, even if the word is correct. When you translate English to French this can mean the difference between a well-received document and one that makes no sense or, worse, gives the wrong information. This is even more important in specific academic or scientific documents, as many of the words used in these will not be readily found within Google Translate or similar tools and apps. Equally, these apps aren’t able to include every single language or variation (dialects) of those languages. This is where a human translator really does help. They will be able to work in various languages and across all sectors with no errors. 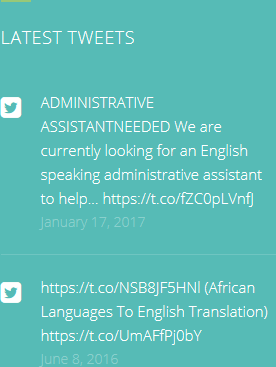 If you need to translate English to French phrases, HQ-Translators can help you. 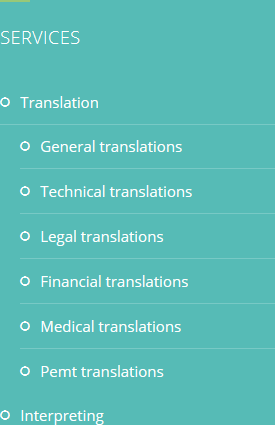 Our website (https://hq-translators.com) has lots of advice and information. If you would like to speak to us, you can do so on (00 237) 242 71 38 38, or (00 237) 693 21 69 27. 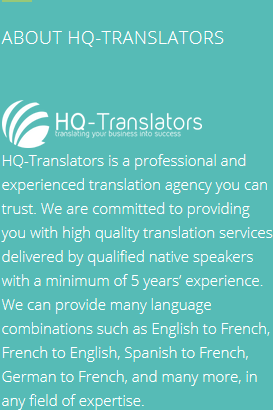 Our email address for queries is infos@hq-translators.com.